Optical illusion? Where do these stairs lead? 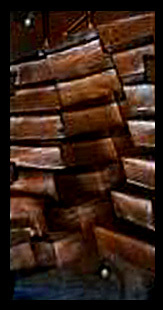 Here’s a fun diversion – are the stairs depicted in this image facing inward or coming outward? How can you be sure? This is similar to the classic Ambiguous Depth Illusion that pictures a staircase that appears to be rightside up…or is it upside down? Does it come out at us or extend inward, away from us? No matter – it’s just a fun game of visual perception. What do you see from this image? Leave a Comment below and let us know. 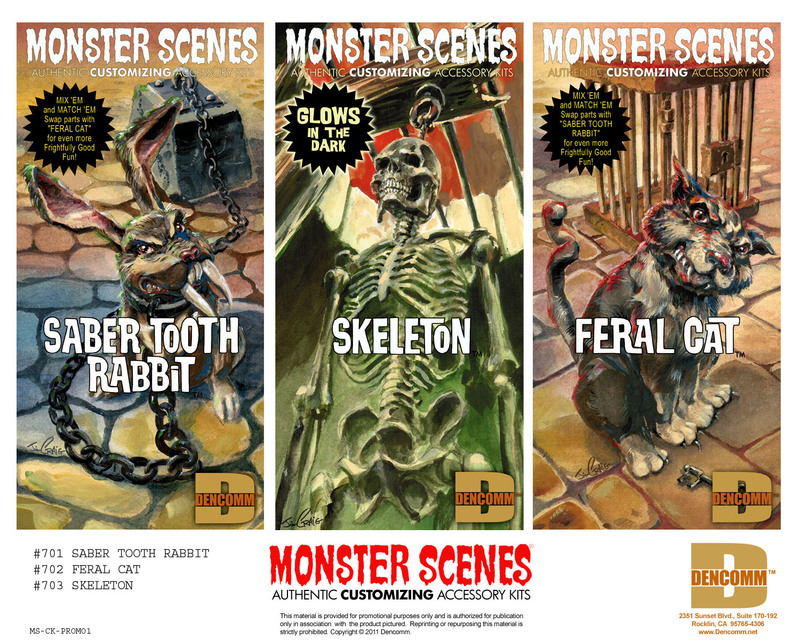 No foolin’ – Monster Scenes Saber Tooth Rabbit, Feral Cat, and Skeleton are collector’s items! Sure, we love these three newest Monster Scenes kits and, to our delight, so do you. In fact, these compelling kits were so well liked that you folks gobbled ’em all up in record time. That’s right – the limited 1st edition release of the three kits are sold out. Although it pains us to turn you away when you come shopping at the Gruesome Goodies Store to get these kits (sorry – we’re fresh out of stock), we are happy to let you know that you can still find them at online retailers and some local hobby stores. But hurry – we’ve been told by our distribution channels that there’s rising demand for these kits. Start your April hunt, then, by linking over to a few online retailers that still have some inventory left: MegaHobby.com, VCSHobbies.com, and AmokTime.com. So why are we so sure these kits have already achieved “collector’s item” status? We’ll let you in on a little secret: you won’t be able to get them in this style again!! We’re working on the release of the next edition of these kits already but they will be different. You’ll love what you see in the next release but we strongly encourage the Monster Scenes faithful to snap up the first edition kits while you can. Thank you for your ardent support of these new kits. Get yours now and get ready for even more exciting releases from the world of Monster Scenes by Dencomm. It’s gonna be fun! You are currently browsing the Monster Scenes Official Blog blog archives for April, 2011.